The Astroparticle Physics European Consortium (APPEC) are proud to announce the launch of the latest European Astroparticle physics strategy (2017-2026). Astroparticle physics is the fascinating field of research at the intersection of astronomy, particle physics and cosmology. It simultaneously addresses challenging questions relating to the micro-cosmos (the world of elementary particles and their fundamental interactions) and the macro-cosmos (the world of celestial objects and their evolution) and, as a result, is well-placed to advance our understanding of the Universe beyond the Standard Model of particle physics and the Big Bang Model of cosmology. Apart from promoting cooperation and coordination, a crucial APPEC activity is to formulate, update and realise the European astroparticle physics strategy. Building on earlier strategies released in 2008, 2009 and 2011, APPEC started a new roadmap process. The APPEC Scientific Advisory Committee (SAC) provided valuable contributions to the scientific part of the roadmap, followed by contributions from the agencies. In April 2016 the APPEC General Assembly, in close cooperation with the SAC, organised a very well-attended and animated two-day Town Meeting in Paris open to the entire astroparticle physics community. 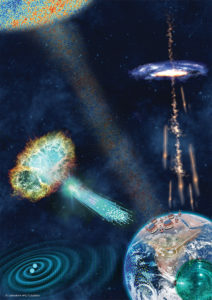 This provided the key ingredients that culminated in the 21 recommendations presented in this strategy document, endorsed by the astroparticle community – recommendations addressing, in addition to the scientific issues, crucial organisational aspects as well as important societal issues such as gender balance, education, public outreach and relations with industry. The APPEC General Assembly unanimously approved them at its meeting in Stockholm in November 2016. By acting coherently on these recommendations, Europe will be able to exploit fully the tantalising potential for new discoveries that is highlighted in the second part of this document. 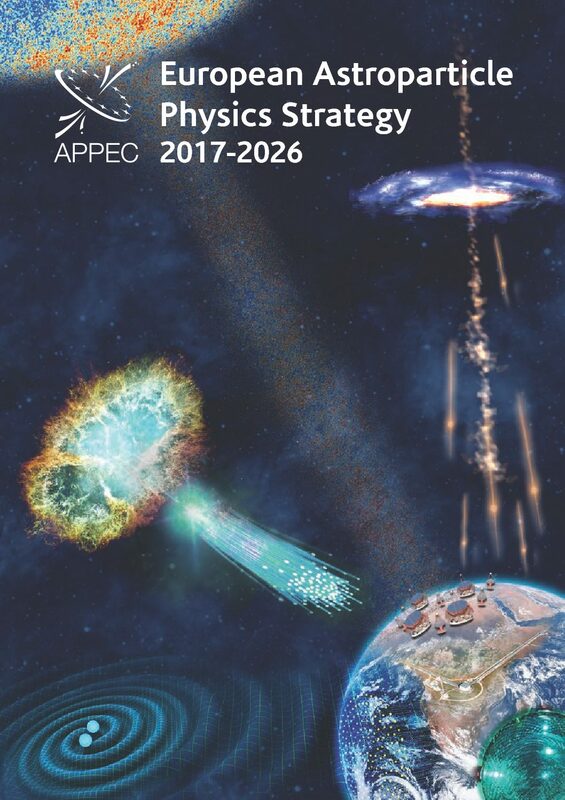 APPEC officially launched the new European Astroparticle Physics Strategy 2017-2026 at an event in Brussels on 9 January 2018. The ceremony started with the new strategy, followed by a contribution of Robert Jan Smits, the EC Director General of DG RTD, and a keynote talk about the exciting prospects of Gravitational Waves science and more. The one-day event include an interactive programme discussing the recommendations and how to implement them between all participants. Further material and information about the launch event is available here.